In this concise book, one of the world's leading epistemologists provides a sophisticated, revisionist introduction to the problem of knowledge in Western philosophy. Modern and contemporary accounts of epistemology tend to focus on limited questions of knowledge and skepticism, such as how we can know the external world, other minds, the past through memory, the future through induction, or the world's depth and structure through inference. This book steps back for a better view of the more general issues posed by the ancient Greek Pyrrhonists. 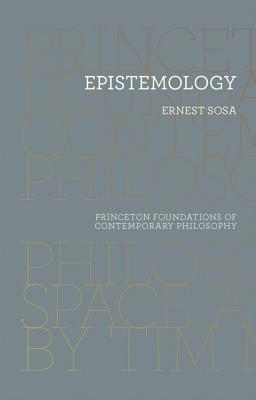 Returning to and illuminating this older, broader epistemological tradition, Ernest Sosa develops an original account of the subject, giving it substance not with Cartesian theology but with science and common sense. Descartes is a part of this ancient tradition, but he goes beyond it by considering not just whether knowledge is possible at all but also how we can properly attain it. In Cartesian epistemology, Sosa finds a virtue-theoretic account, one that he extends beyond the Cartesian context. Once epistemology is viewed in this light, many of its problems can be solved or fall away. The result is an important reevaluation of epistemology that will be essential reading for students and teachers. Ernest Sosa is Board of Governors Professor of Philosophy at Rutgers University.